Bar owner Trintis had big connections in Greektown. Meanwhile, the board denies a hardship extension for another Greektown bar. Above: The owner of this problem bar will get to keep, and sell, the license that the liquor board had previously revoked. The liquor license for an East Baltimore bar that the city Liquor Board publicly revoked – then quietly restored – was transferred yesterday to a new licensee, the result of an agreement with community members in which the new operators promised to run the establishment responsibly. 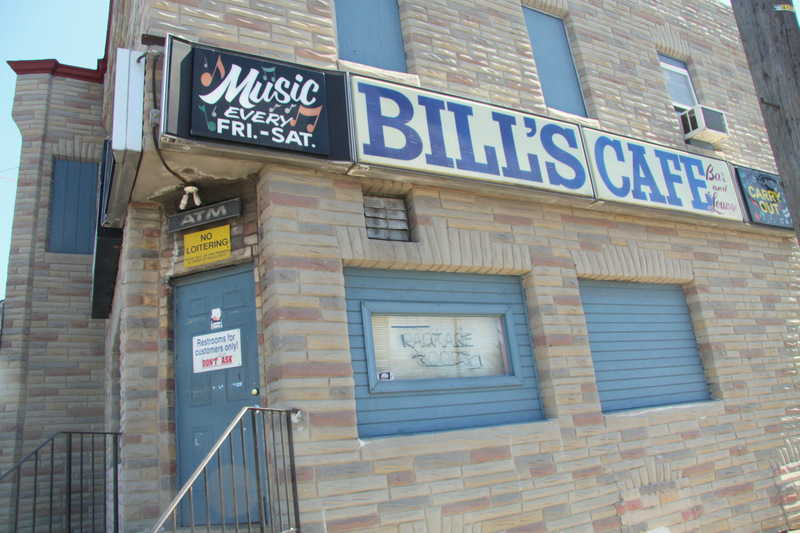 Some neighborhood leaders – who had complained about drug dealing at Bill’s Cafe at 6701 Holabird Avenue and been irked that the board undid its November license revocation behind closed doors – said they were satisfied with the outcome. A central factor was the board’s letter sent in January to longtime Bill’s owner, Nicolaos Trintis, informing him his license revocation had been reversed, but affirming that he would sell the bar and it would no longer be operated under his ownership. The community, police, the licensees and the lawyers had met the day before to hear these terms and work out an agreement. “It’s enough. He’s not going to be there anymore. It’s going to be these new people. 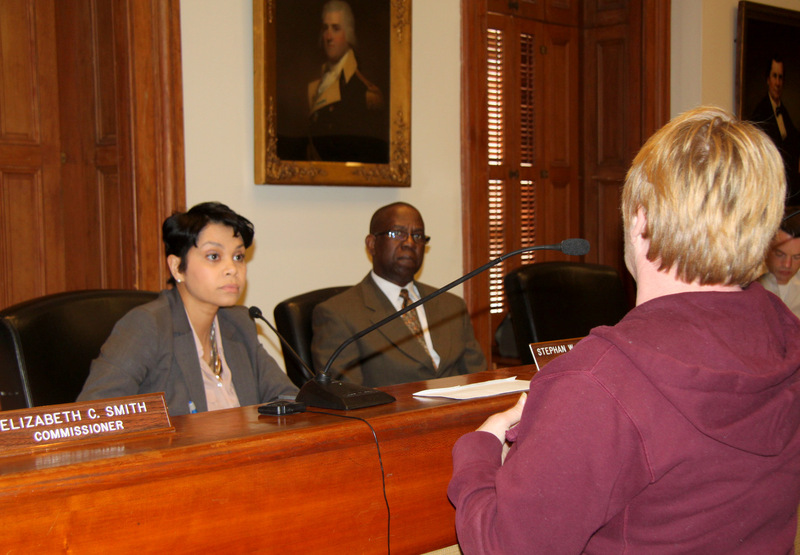 And at least it won’t be vacant,” said Joyce Adamski, president of the Southeast Police Community Relations Council (SPCRC), after yesterday’s hearing. But other community members were upset that Trintis was escaping consequences for serious repeat violations after two prominent figures in the Greektown community privately lobbied for him to the board. “These [bar owners] are never going to be held responsible,” said Rosemarie Weber of Graceland Park. 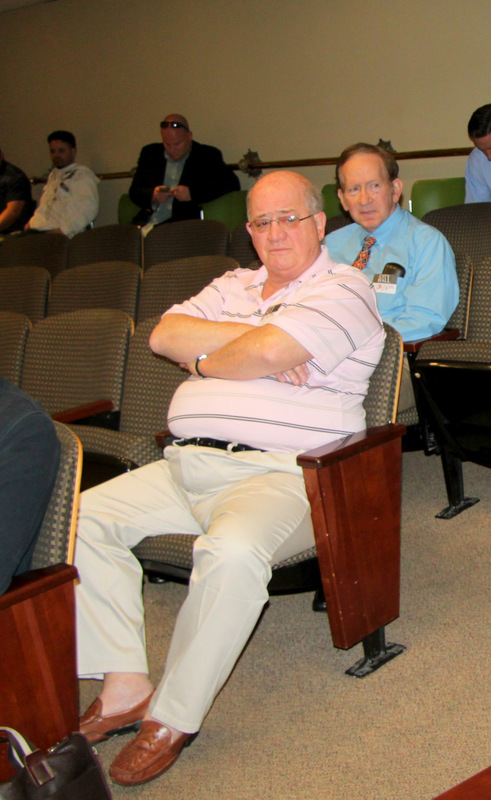 It was an unusual hearing day for the liquor board, with outgoing Chairman Stephan W. Fogleman sitting out the Bill’s Cafe vote and speaking in a gasping whisper due to laryngitis. “And probably stress,” he added. Fogleman did preside during the Voltage case yesterday, during which he and his fellow commissioner Harvey E. Jones voted to restore another revoked license for a problem bar, this time publicly. That left two board members: Elizabeth C. Smith, who is serving as interim board chair until Fogleman’s replacement is named, and Jones. Representing the SPCRC, Community Law Center attorney Susan Hughes began by lodging a formal objection to the board’s reversal of its previous decision to revoke the license. She said the board had no authority to do so without holding a hearing and argued that they should have held one. Smith said that recently-passed state legislation will mean no board action will happen without the public being given notice. “Out of SB-846, with all actions that the board takes, a public hearing will be held,” she said. Attorney Rebecca Lundberg Witt, who blogs about the liquor board for the Community Law Center, said she does not believe the law specifies that the board must make reconsideration decisions at a public hearing. Trintis was in the hearing room but didn’t speak. The new licensees, Dilbagh Singh and George Mooney, were present as Hughes listed the conditions of their new license. Alcoholic beverage hours were specified: it may not be served before 11 a.m. or after 11 p.m. on Sundays through Thursdays or between 11 a.m. and 1 a.m. on Fridays and Saturdays. There were requirements to provide security cameras, lighting and security and to discourage public fighting, drug transactions and prostitution. The new operators also may no longer use the name Bill’s Cafe. And they are not permitted to make an application for live entertainment or dancing within 12 months of opening. She then moved on to the case of Bab’s of 617-19 Oldham Street, whose licensee, Barbara Bollack, was seeking a hardship extension because she had been having trouble finding a buyer for the business. Bollack stood alone before the commissioners and staff. She did not have an attorney representing her. There was no testimony suggesting her establishment had support from Greektown community leaders. “I have some concerns about your time line,” Smith told her, drilling down on the amount of time the establishment had been closed. As as the Community Law Center’s “Booze News” has repeatedly observed and The Brew has reported, the board has routinely ignored the provision in Article 2-B of state law that says 180 days after the holder of a license has closed the business or ceased operations, the license expires. The issue of “zombie” licenses has come up with Martick’s, Crossbar and others. The board’s failure to enforce the rule has occurred before (and after) a scathing state audit red-flagged the problem and an Attorney General’s opinion backed it up. Licenses have been allowed to live on for years. Under questioning, Bollack testified that 617-19 Oldham had not been open as a business since March 2012. Bullock looked stunned as she left the room.